Let’s not beat around the bush. If you are trying to sell your house fast and for cash you are most likely experiencing financial difficulties or are in a distressed situation – like going through a divorce or in the process of getting your house repossessed. We are not here to judge. Our service is designed to help people move on from difficult times and start anew. A fast cash sale can be just the solution that you need, but it can also be a nightmare! In this article we look at quick house sale scams and how you can avoid them. Disclaimer: We partner with a fast cash house buyer so are obviously not totally unbiased, but we have tried to be as transparent and impartial on the issue of We Buy Any House scams, as it is serious and something we want you to avoid! Need a fast house sale? We can connect you with the best cash property buyers in the UK. Sell in under 30 days. Get a cash offer here. In the UK there are many quick house sale companies. A simple Google search for ‘Quick House Sale’ or ‘We Buy Any House’ will return dozens of companies. Some are totally legitimate, but unfortunately others are less so. All, however, purport to offer fast cash solutions to buying your home. For the past few decades the quick house sale industry has been largely unregulated. Only in recent years, due largely to increased scrutiny from the media and after the publication of a scathing Office for Fair Trading (OFT) report, has the industry started to clean up it’s act and be better regulated. However, there are still a number of less reputable companies (read: scammers and fraudsters) who operate in the quick house sale market. Down valuations occur when a quick sale company offers you a flattering valuation for your house and then offers you a substantially reduced value after contracts have been exchange. This is a major issue, as you may have already made plans on the agreed price and are now stuck. This as you can imagine is a deplorable act. But folks, it happens so be careful. Remember, if it sounds too good to be true it probably is. Here is how the process should work and this is how our cash buying partners atAccelerate Homes conduct business. After you make an enquiry, for example, by competing our enquiry form you will get an initial estimation for your property. Generally, a cash buyer will turn this around in 24 hours and base their valuation on a bespoke methodology that uses local market research tools and a cash valuation model (this is to say that the industry generally works at around 80% of the market value). At this stage a buyer will call you to discuss your circumstances and should explain in an upfront manner the initial estimation and how it is subject to an independent survey. If, after the call, you want to proceed most buyers will arrange and pay for an independent Royal Institute of Chartered Surveyors (RICS) valuation of your property. A perk of working with Accelerate Homes is that all our partners cover the costs of this service, including the RICS report. Depending on the outcome of the RICS report a buyer may increase or decrease their offer price in-line with their valuation. They should confirm this in writing and should not change the final offer price at this point. Throughout the entire process you should not be obligated to proceed and should be able to back out at any point. 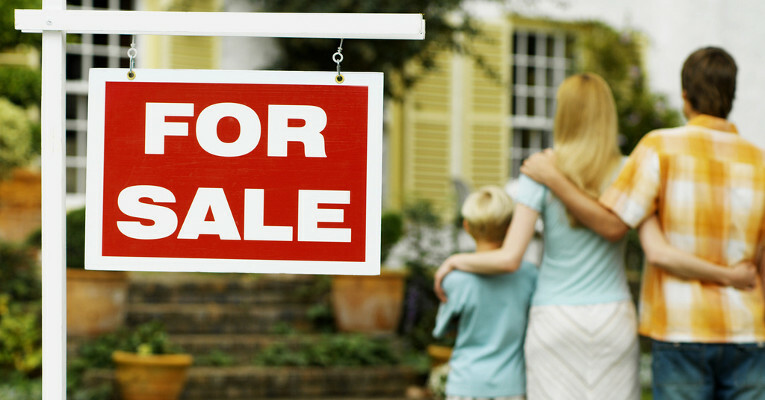 Many quick sale companies don’t actually have cash funds to buy your house. They are either using mortgages to purchase your home, which defeats the purpose of being a “cash buyer”, or are reliant on investor funds. As you can imagine, without access to cash funds the idea of achieving a fast sale is often negated. This issue ties in closely to Scam 3 and 6 below. To avoid this issue you should find out upfront how your buyer plans to finance the purchase of your property and whether they have ‘real cash funds’. In terms of Accelerate Homes, all the companies we partner with have access to significant cash property funds, which allows them to always guarantee cash offers and never rely on mortgages lenders or third party investors to buy your house. Some quick house sale companies promise unrealistic timescales to complete their sale. Many say they can do so in under a week! If you do need to sell your house incredibly quickly then you need to make sure that the company you are dealing with is indeed a cash buyer. Without access to immediate cash there is no way that a buyer can complete the sale in a really short time span. With Accelerate Homes, our partners have access to real cash funds that allows them to literally move as fast as you need. The fastest cash buyer in our network has competed a sale in 7 working days. But to do so means everyone, including you, needs to be on the ball. On average our recommended partners complete sales in 28 working days. We tell our customers to expect sales to complete in 2-4 weeks. If you need more time to get your affairs into order our partners will never put you under pressure to move faster. “Lock Out” agreements or long-term exclusivity agreements are complicated documents that essentially bind you into dealing with only one company. They lock you into an exclusive relationship with a company and to get out of the agreement you often need to pay several thousand pounds. If a quick sale company asks you to sign one of these documents, run away quickly! If you sign this document you are legally restricted to selling to the counter-party company. Worse still the counter-party company is often not obligated to buy your property, so you could end up not being able to sell your house. In short, do not sign a lock out agreement. It goes without saying, under no circumstances would any partner who works with Accelerate Homes request you to sign a lock out exclusivity agreement. Sale and Rent Back schemes occur when a buyer agrees to purchase your property and allow you to rent back. In effect, ownership of the property changes but you don’t need to move, instead you become a tenant, usually on much better terms than your mortgage repayments. As you can imagine, sale and rent back schemes can be very attractive, but once you have sold your rights as an owner to the new investor, your rights as a tenant are considerably reduced. For example, your tenancy agreement could be only 6 month long and then you may have to move. The Financial Services Authority (FSA), now the Financial Conduct Authority (FCA), recently starting regulating companies and investors who offer Sale and Rent Back (SARB) solutions. To offer a SRAB service a company now needs to be registered with the FCA. This issue ties into scam 2: no access to cash funds. A clear indicator that a company or investor does not have cash funds is if they ask you to state that your property is being sold for the full market value rather than the price you have negotiated with them. They do this so that they can go to their lender and get a larger mortgage based on the full market value. For example, if you are selling to the investor for £90,000 and the full market value is £120,000, the investor may want to say to the lender that they are buying at the full market value but only need to borrow £90,000 (or 75% of the inflated price). They are more likely to get a 75% loan to value than a 90% or 100% (thankfully these types of loans are not prevalent in the market anymore). Making a false claim to a lender like the example above is in fact fraud and both the buyer and the seller could face prosecution. In short, if your buyer is asking you to make any false claims or do things that don’t seem above board, then we recommend avoiding them and changing suppliers. Check if your buyer is a genuine cash buyer: How are they planning to finance the purchase of your property? If they are planning to use a mortgage lender or a third party investor, then we would suggest proceeding with caution. Check what fees are involved: Do they charge an admin fee? Do they cover your RICS valuation and legal fees? Generally we recommend only engaging a company that covers all fees and does not charge an admin fee. Check what their policy is with ‘down valuation’: If possible get their valuation policy in writing. Check and verify customer testimonials: Ask for customer testimonials and follow-up with previous sellers to get a real sense of how dealing with the company you are looking to engage works. Check that the company conducts an independent RICS valuation: Some companies do not use RICS surveys to provide their final offer price. Make sure the firm you engage has a policy to use a RICS survey to make their final offer on your property. Check if they have long-term exclusivity agreements: If they do then choose another company. Check that they are legitimate: Do they have a registered office address? Can you visit them in person? How long have they been in the property business? Check their industry affiliations: At a minimum they should be members of the Property Onbudsmen and the National Association of Property Buyers. If the company you are looking to engage can meet all the criteria set out in the checklist above then you will likely have a positive experience and avoid any scam. Should you wish to discuss how Accelerate Homes could help you please contact us today.